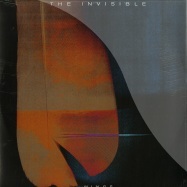 the invisible are releasing a special remix ep featuring reworked tracks from their critically acclaimed album ‘patience’. released via ninja tune, ‘patience’ saw the mercury prize nominees demonstrate their more uplifting side, giving the listener a sense of the band’s “joy and gratitude” for being alive, with features from anna calvi, sam shepherd (floating points), connan mockasin and rosie lowe. this new ep shows 4 tracks from the lp in a different light. “love me again” featuring anna calvi is remixed twice, first by london based, rhythm section member, chaos in the cbd and second by fellow rhythm section associate, fyi chris. warp records duo darkstar provide a hypnotic remix of ‘so well’ and finally milionhands music label boss, tee mango steps up for his “summer daze revision” of “k town sunset” featuring connan mockasin. 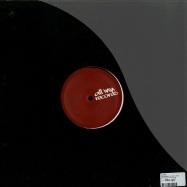 180g heavyweight black 12- vinyl in 12” brown recycled uncoated card sleeve with holes. von den ersten takten des wundervollen so well (mit ihrer freundin und kollegin jessie ware) wird das album durchzogen von einem gefühl der freude. 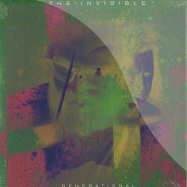 obwohl the invisible auf diesem album neben ware auch mit anna calvi, rosie loew, connan mockasin und sam shepherd (floating points) zusammengearbeitet haben, herrscht vor allem das gefühl der gemeinsamen begeisterung und dem spaß am musikmachen. 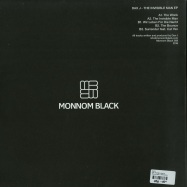 dax j delivers the invisible man ep for monnom black 009. dark, acidic, 90s inspired rave cuts. daxs 1st release after his critically acclaimed debut album *shades of black*. essential selection! hardmoon london boss is back with his second ep that glorifies the militant aesthetics of hardmoon london. after his seminal first release, hissman chopped out more tracks for some lasting dancefloor damage. 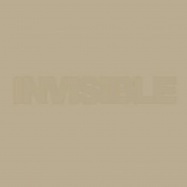 each track uniquely twisted for potent effects in mind, hissman s invisible crowd is absolutely not for the faint of heart. 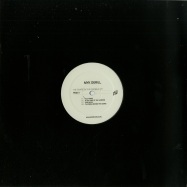 myk derill is one of the most interesting dub-techno artists. here he offers four great tracks of high quality and class. never hard but never soft. 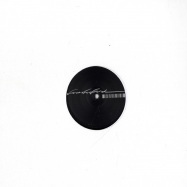 myk derill takes a turn for a more broken rhythm industrial looped with vocal. second part of this two episode series on subnet records. following the same flavour as before... dark textures and mental synth lines driven together by hard drum patterns and groovy percussion. these two ep reflect the creepy and insane behaviour caused by experiments in the field of invisibility applied in the human being. 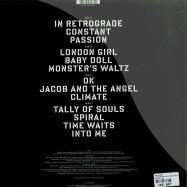 all the tracks were recorded live! just using analog sequencers, mpc, analog mixer and synths. directly to a recording device. in the same way as you could record a live set, to keep all the vibe as fresh as possible. 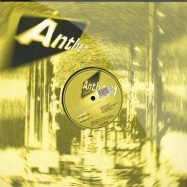 220 copies limited vinyl release. 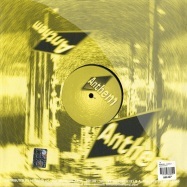 dave aju continues his aural alchemy, reconciling genres and eras in distinct, versatile elixirs of house. 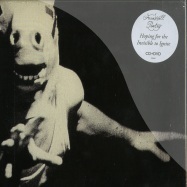 wiederveroeffentlichung des von matthew herbert produzierten, gleichnamigen debuetalbums der experimentellen artrockband the invisible, das 2009 fuer den mercury prize nominiert und zum album des jahres gekuert wurde. 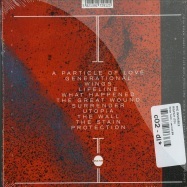 diese special edition enthaelt den neuen bonus track into me sowie neue remixes von hot chip, matthew herbert und kwes. 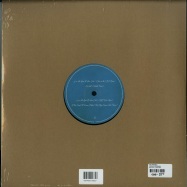 200 copies limited vinyl release. 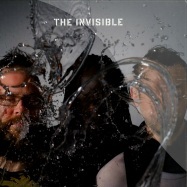 dave okumu, tom herbert (bass, synthesizer) und leo taylor (drums) firmieren seit 2006 als the invisible und veröffentlichten mit >rispah< am 22.06.12 ihr langerwartetes brandneues album. neben ihrer band sind die drei jungs allesamt recht umtriebig. 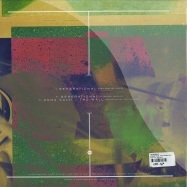 dave okumu produzierte und schrieb einen großen teil von jessie wares letztem album, tom herbert ist mitglied der britischen post-jazz formation polar bear, und leo taylor spielt die drums auf adeles millionenseller >21<. mit wings veröffentlichen sie ihre erste single-auskopplung aus dem neuen werk inkl. 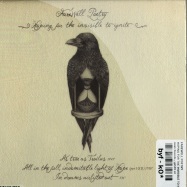 einem remix von floating point und einer bis dahin unveröffentlichten version von >london girl< aus dem mercury prize nominierten gleichnamigen vorgängeralbum. 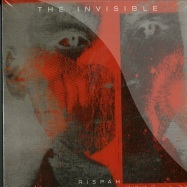 >rispah<, the sophomore album by the invisible and their first for ninja tune, is >a love letter to grief< following the passing of singer dave okumus mother, is imbued with an inevitable melancholy but defined by a sense of hope. throughout, the band reveal their rich creativity and musicianship. 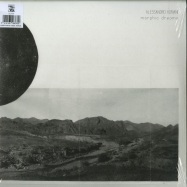 echoes run through these songs of african music (including beautifully-woven-in samples of the singers from okumus mothers funeral), psalm tones and devotional music, in a silent way-era miles davis, hints of minimal classical composers such as steve reich and the wilder more psychedelic end of hip hop and related electronic musics. nothing is ever included for the sake of it, no attempt is made to patronise or sell the audience short. 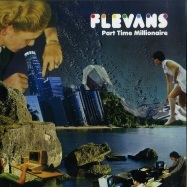 it is a record brimming with real emotion and restless intelligence, a record to get lost in. 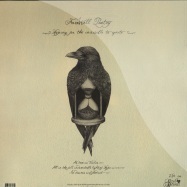 double 12 inch vinyl in gatefold cover, including insert and code for free mp3 download. 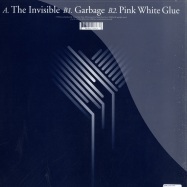 >hoping for the invisible to ignite< was recorded and mixed between paris, normandy (fr) and saint-margaret of antioch church in leeds (uk), these four haunting orchestral pieces were performed in the studio live, and re-recorded using a wall of sound process, adding the natural reverb of the church to the raw tracks. 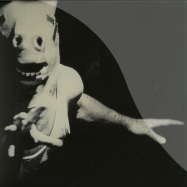 the dvd includes the super 8/16mm black&white film >as true as troilus< by jayne amara ross & a bonus live performance shot by alain grodard & rod maurice during the festival des nouveaux arts sacres at saint-eustache church in paris. 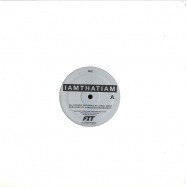 after the more then excellent label debut fit 001 (pittmann) we have the follow up for you by jamal moss (iamthatiam, aka hieroglyphic being aka the sun god aka jack-fm.) as iamthatiam, moss builds upon the sounds of his citys rich musical legacy and directs it into an area that is his most definitely his own. 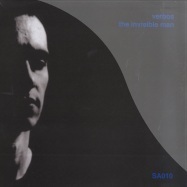 his sound is expressive, experimental, emotional and powerful. 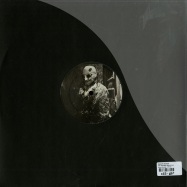 within this ep there are three deep, dark and dirty tracks that blend the boundaries between techno, house, industrial and ambient electronic music. fit sound is a label that strives to push the experimental nature of dance music, and that is exactly what moss has done right here. 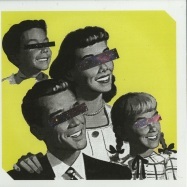 auf >rispah< fusionieren the invisible gekonnt pop, elektronik und indie miteinander. inspiriert durch miles davis, brian eno oder den beach boys bewegen sich die elf neuen songs musikalisch zwischen psychedelic, pop und electronic. 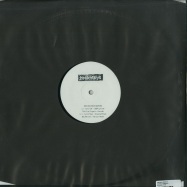 vinyl 2 of the 2015 ep on noisia’s invisible recordings, their record label for new experimental bass music. tunes by current value and survey. 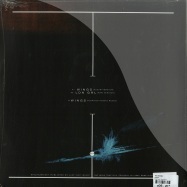 this unique triple lp in tri-fold sleeve is limited to 300 copies on black vinyl. 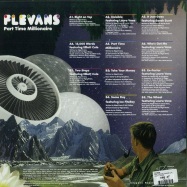 this unique triple lp in tri-fold sleeve is limited to 200 copies on coloured vinyl. 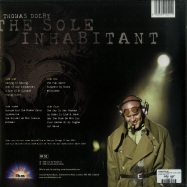 the first live recording from the electro pioneer. 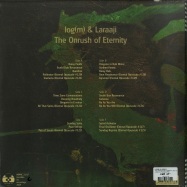 double lp in gatefold sleeve, includes five extra tracks not on cd. that summer i developed somewhat of an obsession with tonto’s expanding head band after having seen them perform at the big chill festival that year. the music blew my mind. later upon my return to civilisation and the ensuing research which then began in earnest i became as much blown away by the enormous t.o.n.t.o. (the original new timbral orchestra) modular synthesizer that had created the music as i was by the music itself. built in the early 70s, it s still the largest synthesizer around today. with the live show still resonating in my head i tracked down everything tonto had ever recorded. one of these tracks was an obscure outtake from the time t.o.n.t.o.’s creators, malcolm cecil and robert margouleff, were producing and engineering for stevie wonder in the ‘70s(https://youtu.be/wuaszff7yq0). 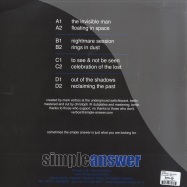 the track, bittersweet, only ever appeared on a highly limited self-released cd put together to coincide with their appearance at the big chill. 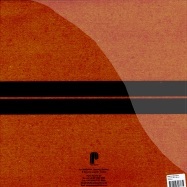 consequently i featured it on a few mixes i did over the years and invariably i’d be asked “what’s that track?” by those with an ear for something unique. and invariably these same people, many of them djs, would turn away disgruntled when i informed them it was cd only. although i didn t know it at the time, the seed was definitely sown for this vinyl compilation that you now hold in your hands. die heutige tangerine dream-besetzung aus thorsten quaeschning, ulrich schnauss und hoshiko yamane legt traditionell bei jedem konzert eine 20- bis 30-minütige improvisationssession ein, die besten von ihnen werden jetzt nach und nach auf tonträger veröffentlicht. -the sessions 1- enthält zwei aufnahmen aus konzerten in budapest und hongkong anfang 2017. zusammen ca. 60 minuten. 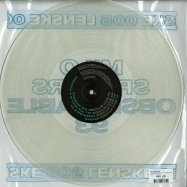 pressung auf transoarentem 140g vinyl. invisible starlight is a ripping tune by an unknown midwestern funk outfit with a driving backbeat and soaring horns. it sounds like ohio to us, but we can t be certain. however, we are sure that this band must have rocked local bowling alleys and lounges wherever they went. 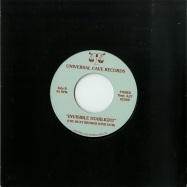 universal cave is proud to present our edit to our fellow 45 loving movers and groovers. on the flip, the beat broker rounds out the original with his signature style and an impeccable ear. 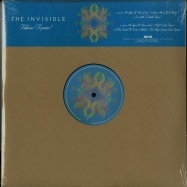 the kind dub s sun drenched delay and reinforced drums ensure that invisible starlight will shine on any dancefloor. we re extremely pleased here at invisble inc hq to be releasing this amazing new album by veteran multi-instrumentalist and ethno-musicologist jon keliehor. originally from seattle and musically active since the 1960s jon started out playing drums and percussion in bands like the daily flash and bodine all the while becoming known as a venerable session and touring musician in his own right. not many people can claim to have played alongside jim morrison and james brown....but jon certainly has. bt09 - invisible darning brings together 4 unique acts, covering a wide spectrum of techno and electro. 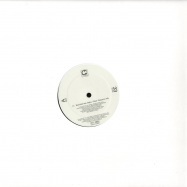 crystal maze s crossroad blues kicks off the ep with slow mo tripped out techno. dez williams hand on mouth follows up with spaced out, stargazing electro. 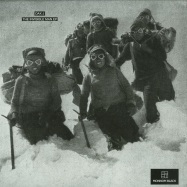 on the flip we have switzerland’s echo 106 - 100m splutter bringing stuttering arpeggiated synths for an epic showdown. 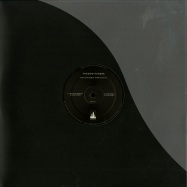 closing the ep albert van abbe resurrects his dormant the pulse projects for the brutalist crunching grounds. very limited copies. vinyl comes hand stamped complete with individual screen printed artwork unique to each copy. 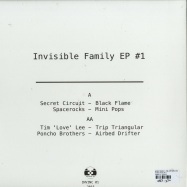 invisible inc s third release departs in yet another direction as they dig through the archives of 80s new wave/psych funksters the poncho brothers. 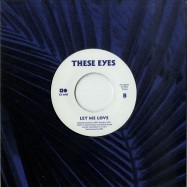 apparently these three previously unreleased killer beats were recorded between 1987 and 1990 and then forgotten about, only for a cassette to find its way into label boss gk machine s hands during some drunken tequila-fueled nights on holiday in mexico in 2012. fully remastered from the original tapes these no wave, disco funk dubs are firmly rocketed into the 21st century with ny s zoovox duo s stripped down stellar remix of amantes latinos. 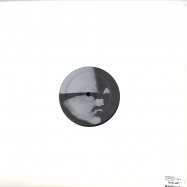 getting plays from daniele cosmic baldelli, jan schulte, dj kaos, kirsty p. + more. 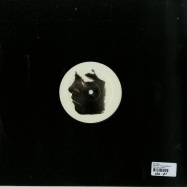 especial take a side-step, welcoming up and coming producer wolf muller to the label with his remixes of indie-pop dreamer mariam the believer. 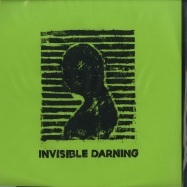 two striking percussive, led reworks of her single invisible giving appear exclusively on vinyl. am 04.10.2013 erscheint mit blood donation das debütalbum von mariam the believer über moshi moshi / pias cooperative. mariam wallentin ist besser bekannt als teil des schwedischen duos wildbirds and peacedrums, doch ab sofort schreitet die extravagante sängerin auf musikalischen solowegen durchs leben. 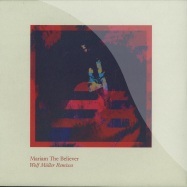 mariam the believer ist eine sehr introspektive und melancholische kreation kraftvollen pops, die mariams vision von hoffnung und licht am ende des tunnels charakterisiert. 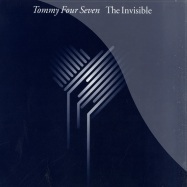 mit invisible giving gibt es einen ersten vorgeschmack auf das album, inklusive eines prins thomas club remixes. fresh eight presenting: the invisible planets the invisible planets are coming up with their first appearance on fresh fish records ! 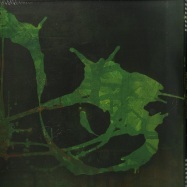 the hamburg based project emerged from plenty of jam sessions in > the wooden studio st georg<. after recording the sessions the guys choose and edited the best parts to polish them up. the result is a unique organic sound, engeneered to make it tight for the floor. on the flipside brothers vibe has come up with a joyfull remix which keeps the tension all the way through and builds a magic timeless interpretation of the original track. massive housevibes guaranteed on this record! a very special compost release with two very rare tracks! 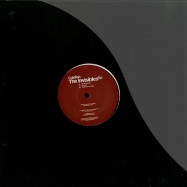 the a-side features a great remix of beanfields >tides< with amazing vocals from bajka - of course its not quite up there with the unbelievable carl craig mix but then that would be an uphill struggle. 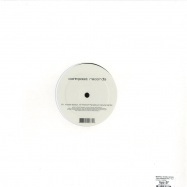 ripperton from the lazy fat people adds his moody, deep slant to the track, less anthemic than carl craig but a more than welcome alternative. this mix was available for a short time as bootleg with ricardo villaloboss remix of depeche modes >sinner in me< on the flip and sold out quickly despite the poor sound quality. finally, one year later, this great tune sees it official release completely remasterd in chrystal clear sound - get it, play it, love it! 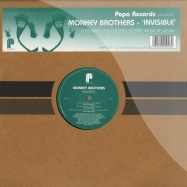 in 2006 the duo tom wieland and marc frank - better known as 7 samurai - crafted a fine remix of invisible sessions under their panoptikum moniker. 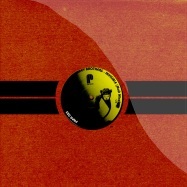 when michael reinboth considered this remix for his new future sounds of jazz compilation the guys decided to contribute even a little bit more: an excusive new version which became a definitely highlight of the whole compilation. 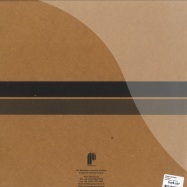 the panoptikum 2007 remix surprisingly takes a leaf out of innervisions book for a smooth deep houser with a slighty techy sound and a touch of detroit in the vein of Âme or henrik schwarz. 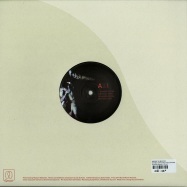 in contrast to the vocal version included on fsoj this 12inch features the trippy instrumental version. ace stuff! 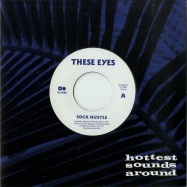 two must have tracks - all killer, no filler! uplifting big room melodic trance from italy ! dimitri from paris & dj rocca on toy tonics! 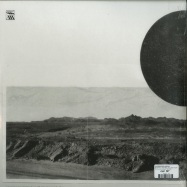 limited edition of 300 copies on black vinyl, housed in a numbered gatefold sleeve.